Amazon Alexa is the best. No, Google Assistant/Google Home is the best. Well, which is it? If you’re thinking about purchasing one of these smart speakers, you might be confused about which to buy. We hear you. With all the news and info you hear about the two most popular voice assistants, it’s hard to know which one to pick. Knowing how they’re similar and different could help you make a well-informed purchase. Here’s a breakdown of cost, what the two voice assistants can do, what they look like, and which smart home devices they can interact with. The original Google Home is circular and looks a little bit like a dehumidifier. It has a white top and a gray bottom, but you can switch out the base for one that’s another color. It costs between $20 and $40 to get a different bottom section, available in metal/carbon ($40), copper ($40), and coral fabric ($20). There are three more fabric hues — mango, marine and violet — listed within the Google Home’s tech specs, too. They’re not offered in the United States yet but should become available at some point. You can also purchase them online, on sites like eBay. Additionally, you can also get the Google Home Max, Google Home Hub, or Google Home Mini. 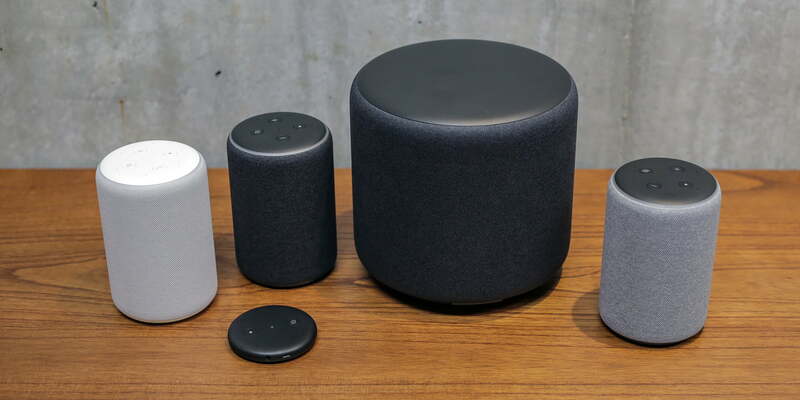 The Max and Mini are larger and smaller, respectively than the original Google Home model. The Google Home Max is more expensive and is built for sound, while the Mini is a miniature, cheaper version of the original Google Home. The Google Home Hub has a seven-inch touchscreen display. The screen allows you to do things like watch videos, view photos, control your smart home via touchscreen, and view who’s at your door when you have a video doorbell that works with the Hub like the Nest Hello. The Google Home Hub doesn’t have a camera. This means, when you make video calls on a Google Home Hub, the person on the other end won’t be able to see you (they’ll see your profile pic). The original Echo is on its second generation. 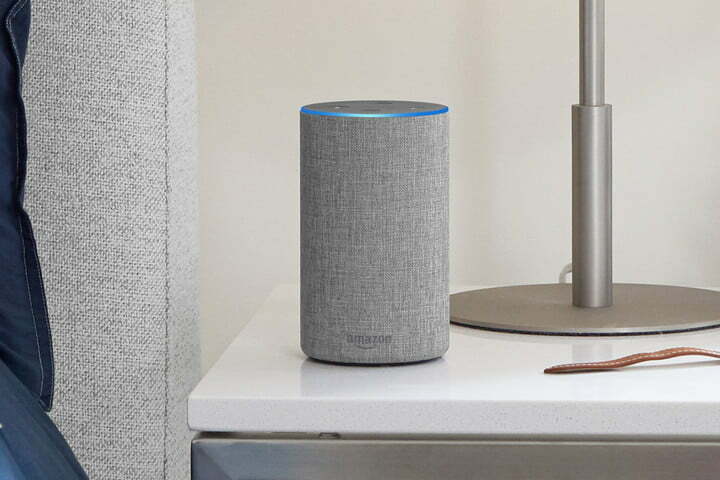 It has a cylindrical shape, and you can buy the Amazon Echo in one of five colors — charcoal, heather, oak, walnut, or sandstone (there are six colors if you include the limited edition red color). You can choose from a fabric covering in one of three shades of gray. Alternatively, go with a wood-like finish in either walnut or oak. In addition to the regular Echo, you can buy several other types of Echo devices, depending on your needs. 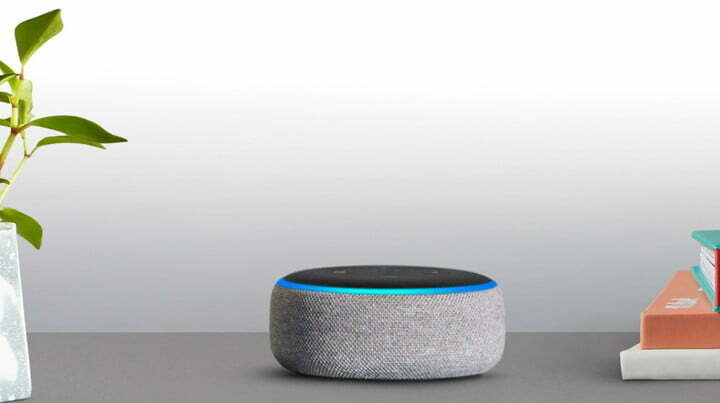 The Echo Dot is a mini version of the Echo. On its 3rd generation, it does everything the original Echo does, but it is smaller and cheaper. The Echo Show (in its second gen) and Echo Spot are devices with screens – the former is good for a kitchen (looking at recipe videos) and the latter is great as an alarm clock or for a living room. The Show and Spot also let you see who’s at the door when you have a video doorbell, make video calls, and more. One major difference between the Echo Show and the Google Home Hub is that Show allows for two-way video calling. You can make video calls on the Spot too. The Echo Plus (on its second generation) has a smart hub built in, so you can push your smart home to the next level. 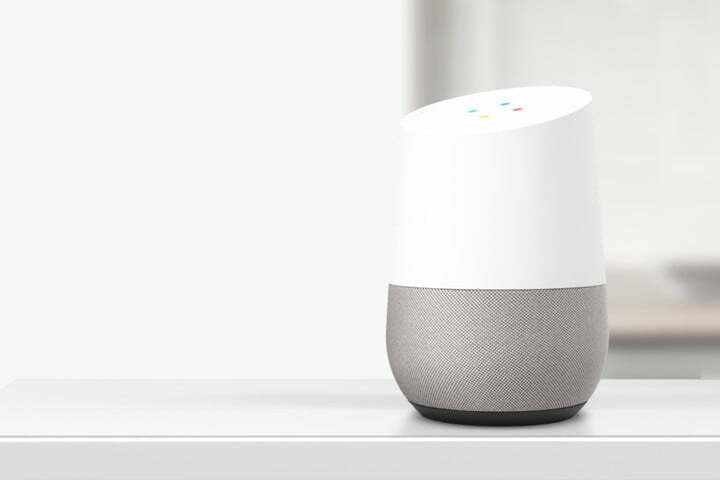 The Google Home responds to touch and has LED lights that activate while in use. Conversely, instead of having lights along the top, the Echo has a lighted ring on the bottom. 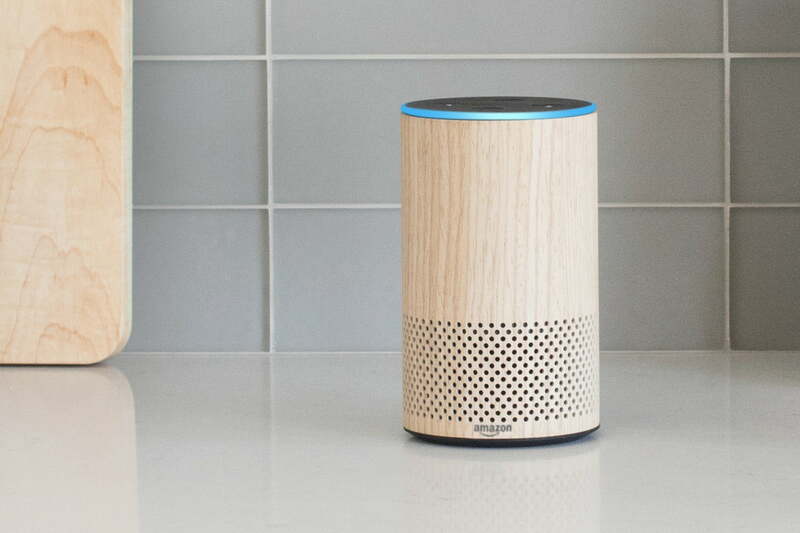 Both of these smart speakers have cylindrical shapes, but the Amazon Echo is a bit more streamlined than the Google Home. The Amazon Echo’s top is flat, while the Google Home has a slight slant, too. The Amazon Echo will set you back $100 if you get one of the fabric-covered options, although it’s often on sale for cheaper. Or, buy one of the two wood options, which are $20 extra. There are often sales on the Echo though, and you can get one for about $70. You can get a refurbished first generation Echo for around $60. An Echo Dot is usually around $50, but if you buy a 2nd generation model, you’ll pay a lot less (between $20 and $30), and the 3rd generation is often on sale as well. The Google Home costs a bit more at $129. However, you can often find these devices on sale, and if you go with a Google Home Mini you’ll pay just $49 (on sale for $25 for the holiday). The Google Home Hub is $149, although it’s been on sale for $100 as of late. Alexa is the virtual assistant associated with the Amazon Echo. You can change the voice to different accents or languages. Additionally, you can ask Alexa to control your smart devices if they’re connected, ask for the weather for the weekend, set timers, play games, set reminders, and so much more. Amazon is continuing to add new features to Alexa regularly, including Whisper Mode. As for the Google Home, its virtual assistant is, well, the Google Assistant — leaving no doubts about its purpose for users. One interesting thing about the Google Assistant is that users based in the United States can change the voice to a male as well as pick a different language. Google Assistant is also bilingual, meaning that you can speak two languages in the home and it’ll understand. Google added six new Assistant voices in May 2018, too, including one that’s fashioned after singer and activist John Legend. Google consistently adds more features to Google Assistant. Neither Amazon nor Google offers a straightforward number of the total “skills” its respective smart speaker can perform for you, but it’s safe to say that you can do a lot with these little speakers. There are games you can play, books you can read, music you can listen to, and so much more. Recently, Amazon announced the Skill Blueprints portal as an option for people to build their own skills. So you not only add professional skills to your Alexa device, you can also create your own. It’s worth keeping in mind, too, that both the Amazon Echo and Google Home allow setting up routines comprised of multiple actions triggered by a single command or condition. For example, you can make your smart lights turn on and hear a news broadcast at the same time each day to wake you up. If you’re a podcast fan, the Amazon Echo requires using a podcast-related skill on the smart speaker that allows cross-platform synching. Want to make phone calls with your smart speaker? That’s possible on both devices. Alexa lets users ask questions one after another as long as they’re within five seconds of each other. But, they have to ask one question, wait for an answer and so on. The Google Home has many features as well, with new ones coming out every day. You don’t have to add skills to Google Assistant in the same manner as you do with Alexa though. Google’s new Android podcast app works with the Google Home and allows picking back up where you left off when using multiple devices. One interesting technology coming to the Google Assistant in the near future is Google Duplex, which can make calls on your behalf. Google has already shown off the technology and posted audio clips on its blog to highlight the authenticity of the capability. There’s nothing about the Google Assistant voice that gives anything away to make the person on the other end of the phone think it’s an artificial intelligent helper. 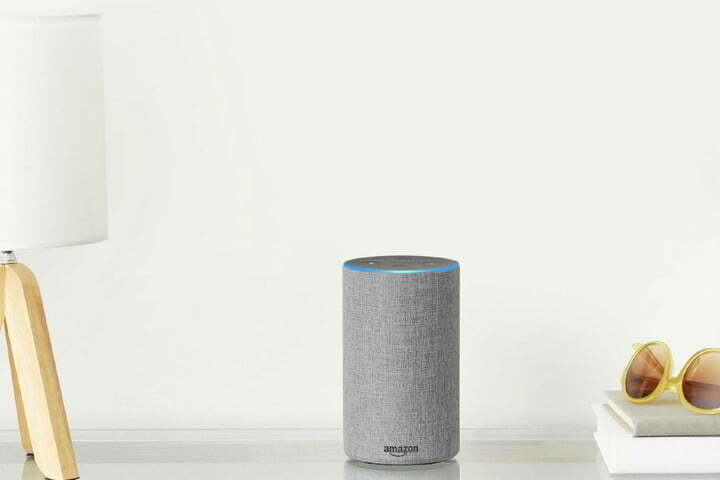 A study that investigated how the Google Home and Amazon Echo do while answering questions found that the Google Assistant answered more correctly and made more attempts to respond to questions than Alexa. So, for now, the Amazon Echo offers more functionality overall. But, if it’s specific capabilities you want, the Google Home is a wise choice. When trying to compare these two leading smart speakers, you might wonder whether you can use the gadgets to control your smart thermostat or intelligent light bulbs, for example. 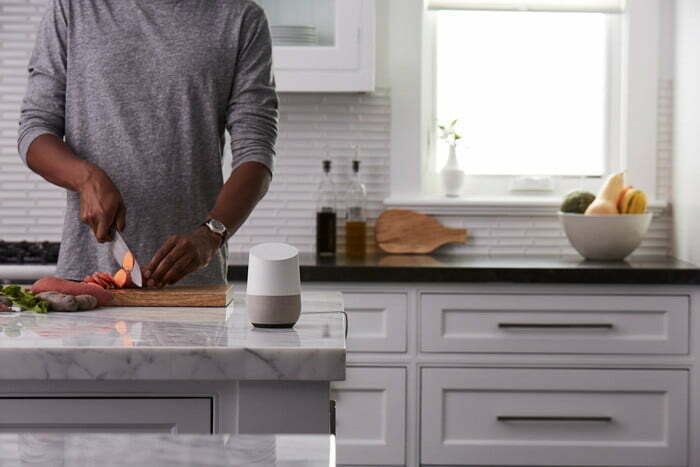 These days, many smart home devices are compatible with both Alexa and Google Assistant, although if you’re unsure you can click on the links below to see if the gadget in question is on the list of compatible devices. Alexa works with more than 20,000 smart home products. Here’s our list of some of the best compatible devices. Google Home supports more than 10,000 products, which make its compatibility level seem substantially less. It’s worth noting, though, that in January 2018, the Google Assistant was only compatible with 1,500 devices. That jump indicates smart home compatibility is an area of focus and desired growth for Google. Here’s our list of some of the best compatible devices. Buying a smart speaker and choosing the best one for you isn’t always straightforward, and both of these speakers have their merits. For now, we think that the Amazon Echo is the better buy. It can do more things than the Google Home, costs less, is compatible with more smart home devices, and comes in more colors and fabric choices. Additionally, there are more types of Echo devices to choose from. We will say that the Google Home and the voice assistant inside does seem smarter than Alexa. We’ll continue to update this post as more features and capabilities for both devices are announced. You can check out our full review of the Google Home here, and the 2nd gen Amazon Echo Plus here. Published on Wed, 27 Mar 2019 12:26:09 GMT, © All rights reserved by the publisher.